Here is another ocean theme craft, in honor of Shark Week. 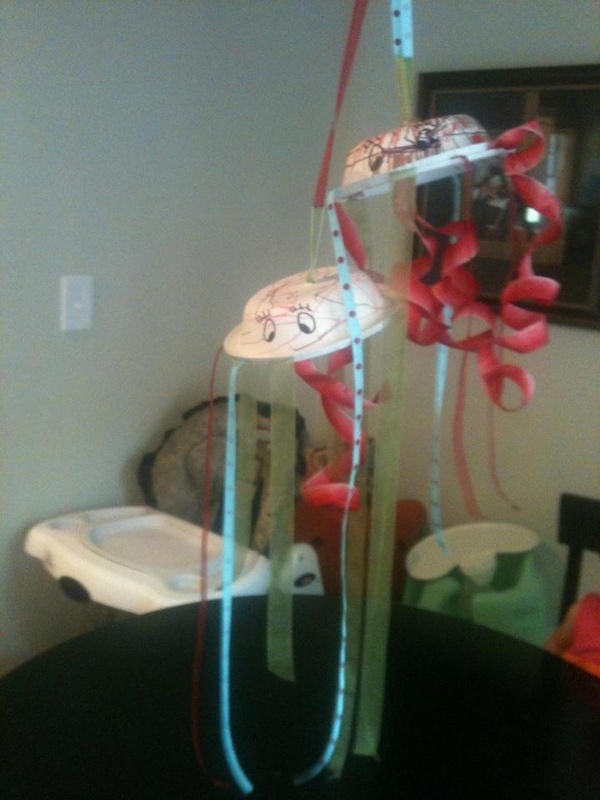 This one is an Octopus Craft, and the kids love this one as well. Above is picture of the final product, and below are the directions. Enjoy this craft with the kids. Happy mid Shark Week. Let the children color the top of one Paper Bowl. When they are done draw eyes on the top of the bowl, or apply google eyes. Next take the ribbon and cut into 4-6 even ribbons. Then curl the ribbon. Next take the top and bottom bowl and poke a hole through the middle. Fashion a loop into a ribbon and knot it at the bottom. Pull the loop through both bowls making a shell. Now take ribbons that were curled, and staple them around the edges of the bowl. You should now have an octopus.